We partner with individuals and organizations building a counter-voice to most mainstream content. We stand for stories that promote positive projects for an inclusive society. Collaborating with impactmania will bring your stories to a thoughtful and global audience. Be part of an ecosystem of impact makers — Demonstrate your value system to your audience — Support a strong and inclusive society. impactmania does not work with advertisers. We do not publish sponsored articles. Help keep our voice independent. If you believe in original content from expert sources, sharing knowledge, and building the next wave of impact makers — become a supporter. This is the easiest way to get involved. You will be thanked via social media, newsletter, and on the impactmania site. You will be invited to impactmania events to connect with featured impact makers. impactmania helps value-aligned individuals and organizations share and amplify their amazing stories. One of impactmania’s co-produced and directed stories went on to be featured at the United Nations Global Compact Conference 2017. This video is on view at the UN Foundation’s website as part of the Every Woman Every Child Initiative. It also aired on Indian TV and on a number of conferences globally. A number of impactmania interviews and interviewees have been cited in research reports, (inter-)national media, the White House, and the U.S. Consul. impactmania has a partnership with Newton Paiva, a private university in Brazil, where the University offers their students credits to work on media and research projects with impactmania. We offer customized programming with educational institutions to develop the next generation of impact makers. 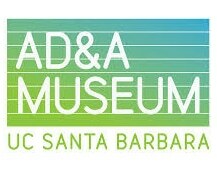 Similarly, we have a partnership with the Art, Design and Architecture (AD&A) Museum, University of California, Santa Barbara (UCSB) where impactmania’s founder, Paksy Plackis-Cheng, serves as a Senior Fellow of Media and Research. We work with faculty and interns on large multi-disciplinary projects. In addition, there are opportunities for companies to support impactmania’s events and projects. The next project will be the international launch of 130 Women of Impact in 30 Countries (2018). As you can see, impactmania partners with people in projects that are high-touch and thoughtful. We work with a number of associates in different disciplines and industries, because one size does not fit at all. impactmania helps you communicate authentically amplifying impact by connecting change makers and encouraging others to become more involved in building an inclusive for-purpose community. We are always happy to connect with mission-driven people. Please email us for more information: [email protected]. impact X book launch with panel: Chair of Federal Long Term Care; B-Lab co-founder, social entrepreneurs; and first high-school teacher MacArthur Fellow.